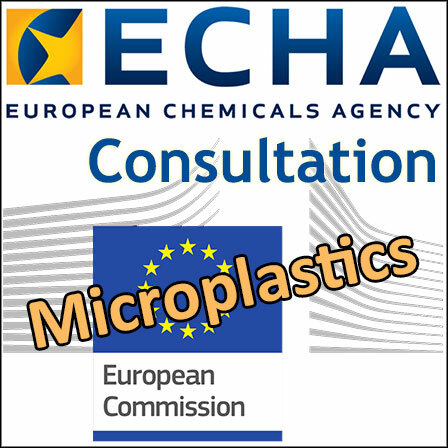 In the framework of the EU plastics strategy and at the request of the European Commission, the European Chemicals Agency (ECHA) prepared a restriction dossier under the European regulation on registration, evaluation, authorisation and restriction of chemicals (REACH). It targets intentionally added microplastics in products, including cosmetics. ECHA now launches a public consultation on this dossier. The dossier was published on ECHA’s website on 30 January and passed conformity check in March. ECHA launched a public consultation seeking views and general comments from stakeholders on the dossier, as well as on a number of specific questions. (ii), for fibres, a length of 3nm ≤ x ≤ 15mm and a length to diameter ratio of >3. The dossier proposes to ban certain consumer and professional uses, while other uses would be subject to labelling/information requirements and annual reporting. Microplastics covered by the dossier have multiple applications, including in agriculture, horticulture, cosmetic products, paints, coatings, detergents, maintenance products, medical and pharmaceutical applications, oil and gas sectors, etc. ECHA has estimated that the impact of this restriction will be significant. Emission reduction obtained through the restriction would amount to 400.000 tonnes of microplastics and cost € 9.4 Billion over the next 20 years.